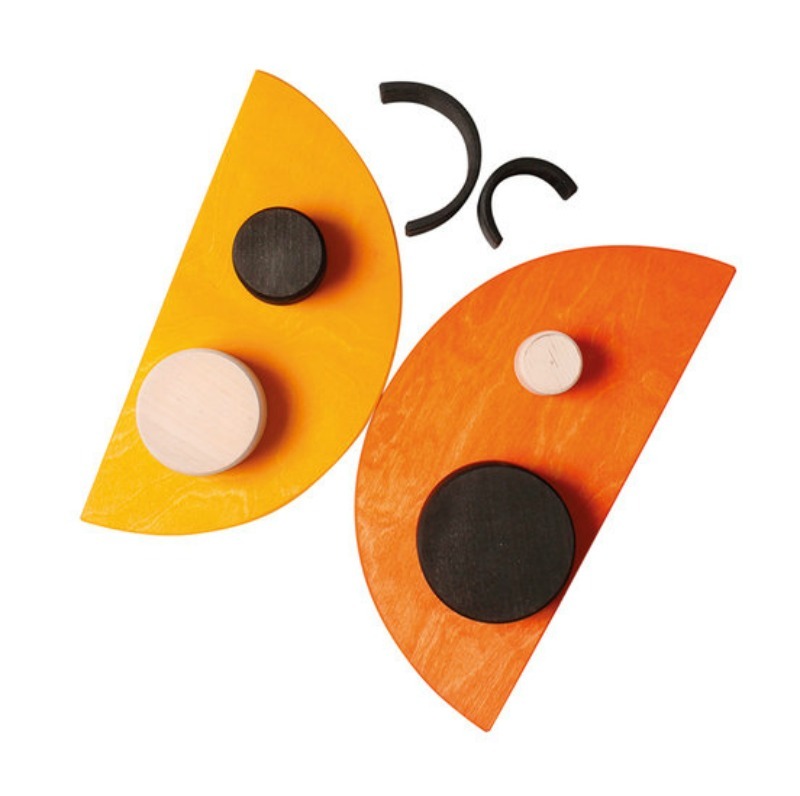 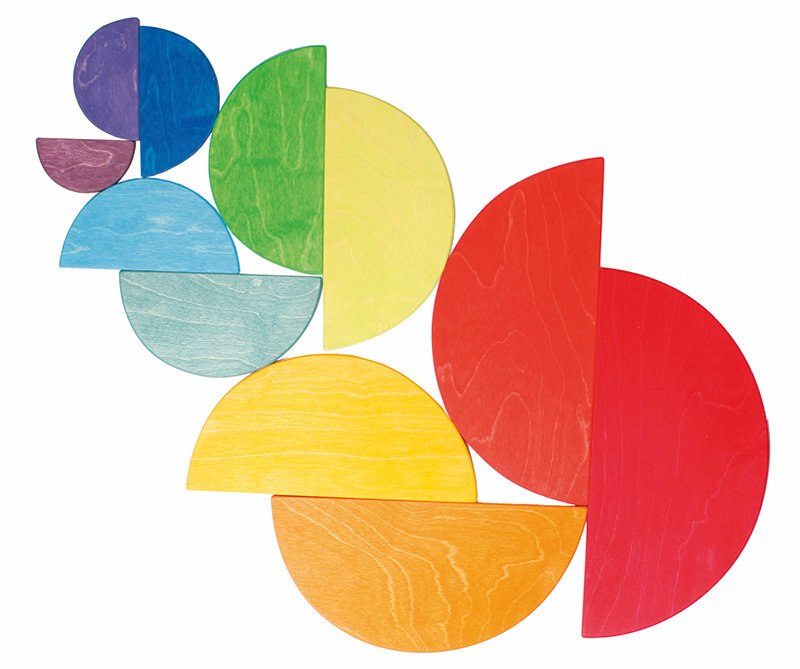 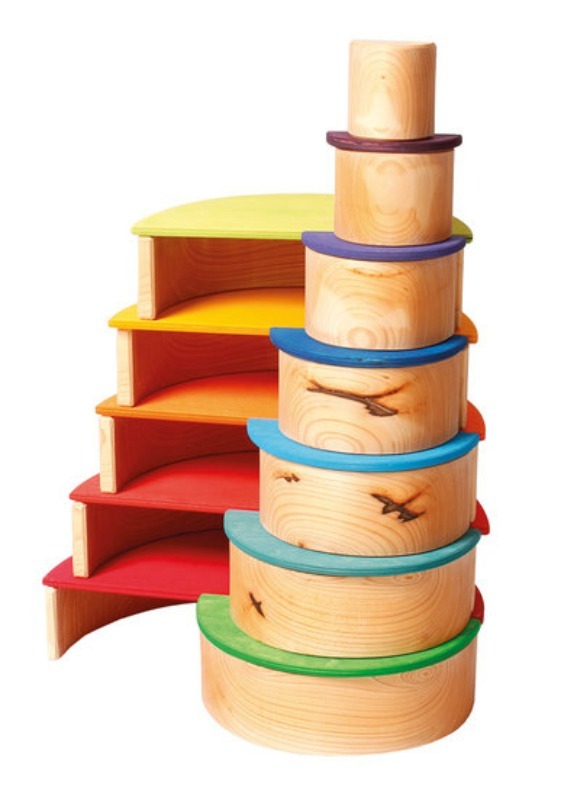 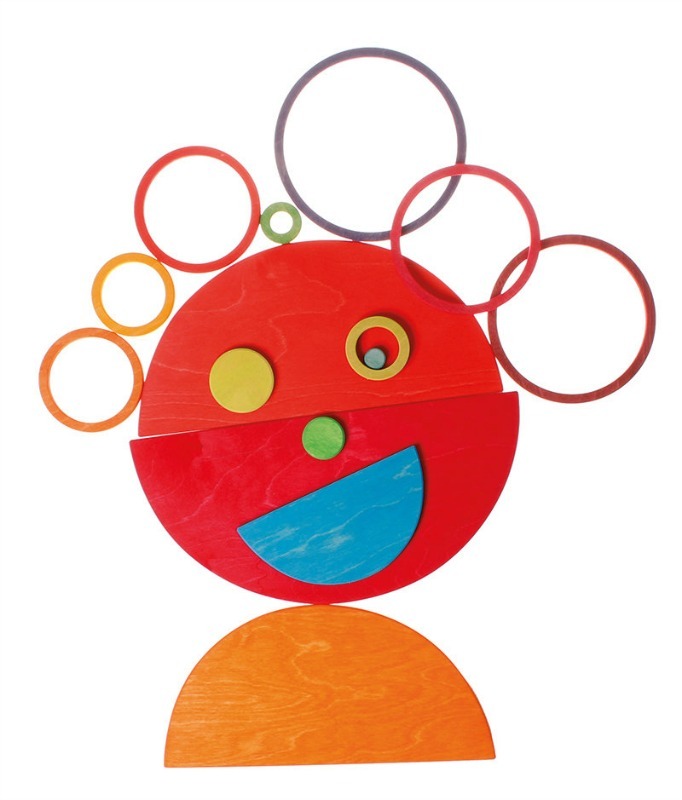 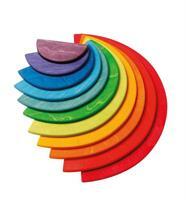 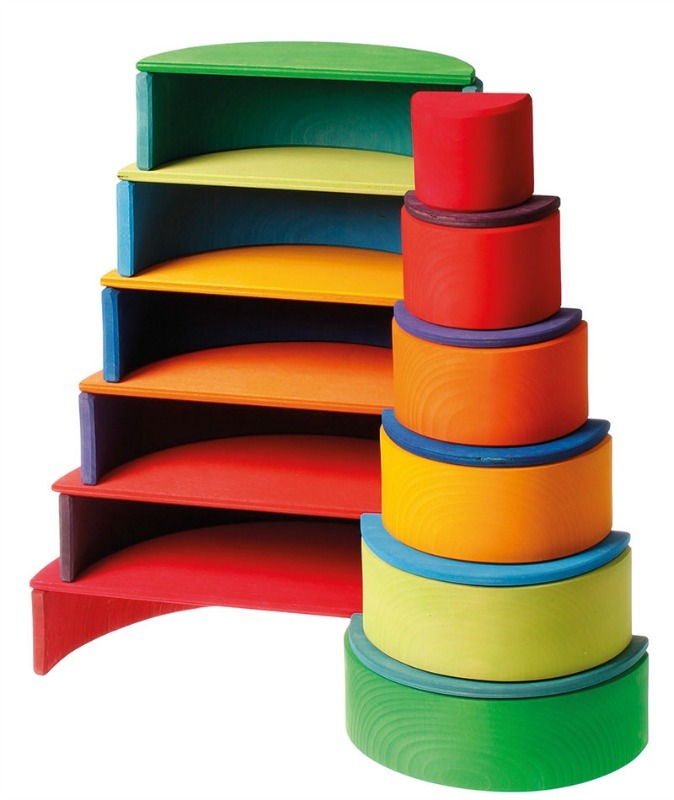 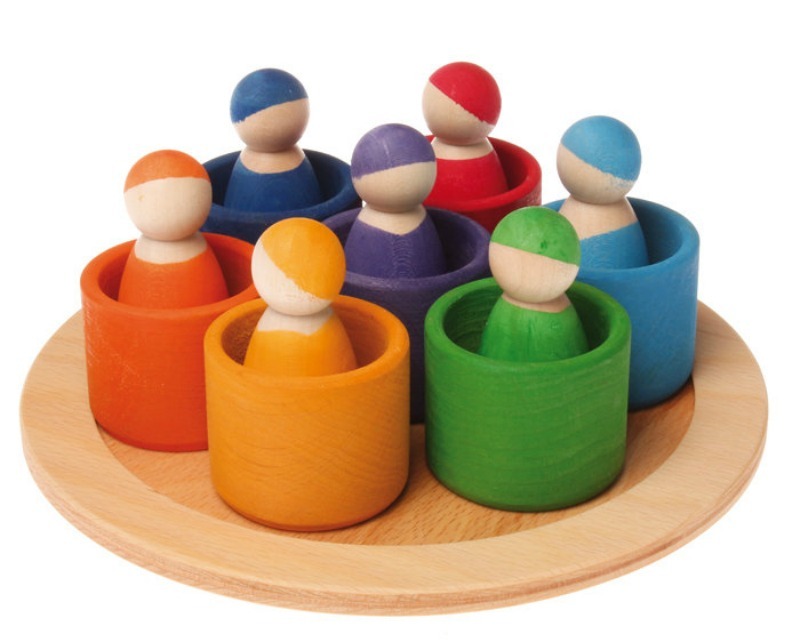 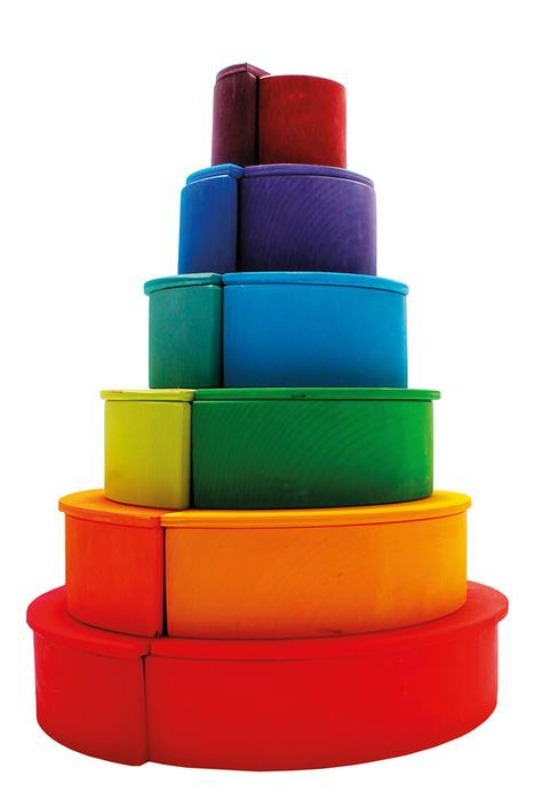 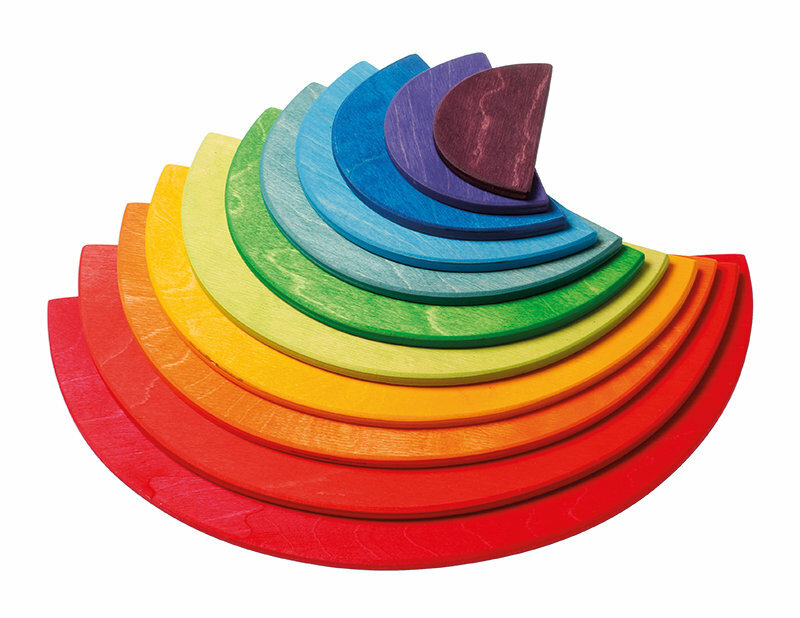 The amazingly versatile Grimm's Wooden Rainbow Semicircles allows little imaginations to blossom and grow naturally through play. 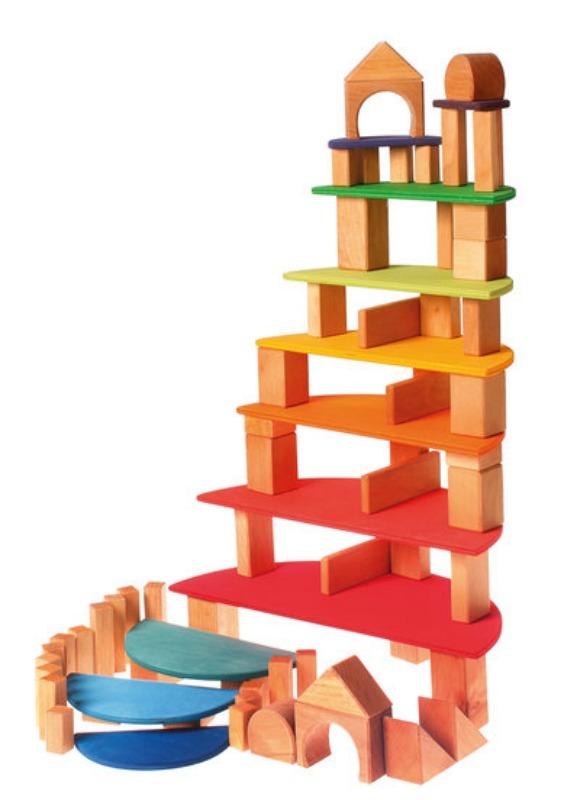 As children grow older see them transform the pieces into all sorts of creative floor play. 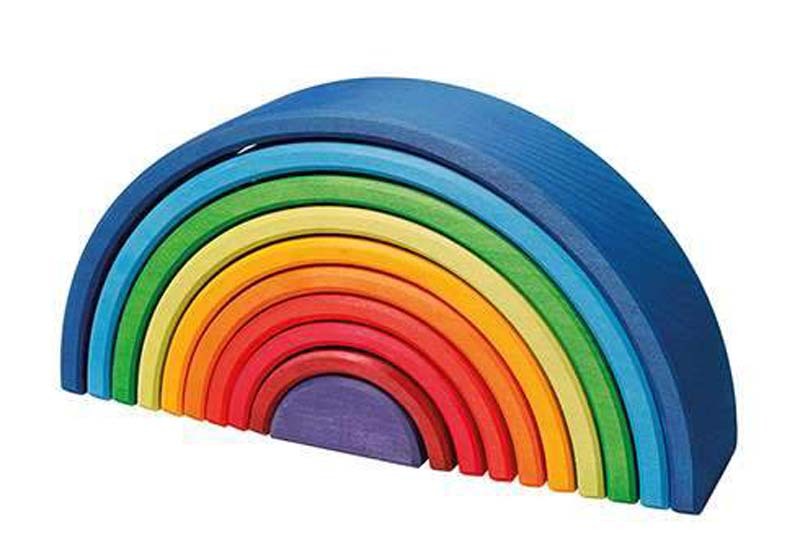 When combined with any of the large Grimm's rainbows or tunnels little architects can experience flexibility and versatility in modern design and building. Build fantastic, inventive sculptures - there really are no bounds to imaginative and fantasy play! 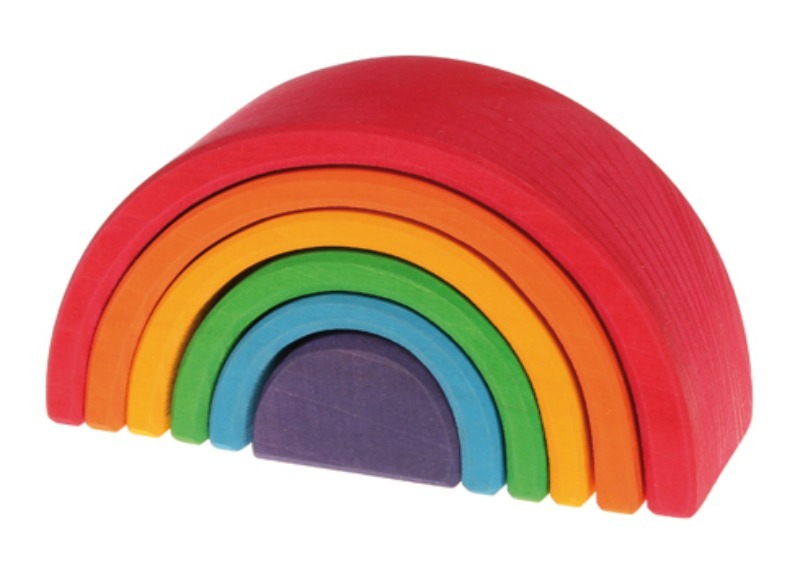 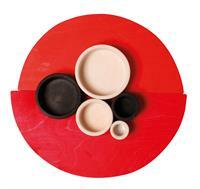 Made from ply wood and finished with a non-toxic water based color stain. Accessories shown in images not included.